A well thought out and creatively executed refurbishment finished to an exceptionally high level to create modern, light space with bespoke built-in units and numerous high quality fittings. This includes Drummonds sanitary ware and reclaimed radiators. Running from the central kitchen there is a cosy reception area to the front with wood burner - and a lovely dining / family space extending the full width at the back with folding doors onto a good sized south facing garden - which has a remarkably open aspect and is un-overlooked. Upstairs there is an impressive master suite with steam room / shower and luxurious dressing area. The property has been further extended at the top to create a flexible arrangement that includes four further bedrooms and a play room.The property is part of a terrace of attractive houses that run between Percy and Boscombe Road. 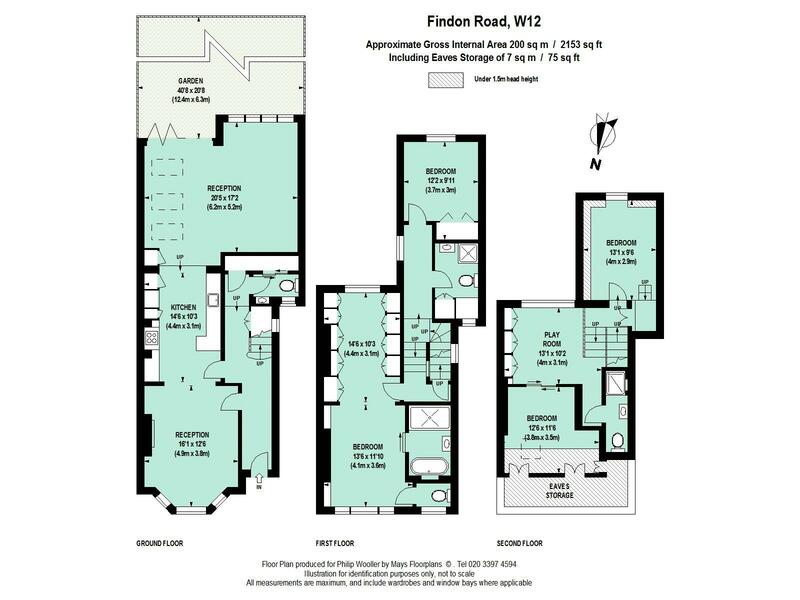 Findon Road is friendly family orientated street and Ravenscourt Park is within a short walk, as is Wendell Park, numerous good schools and the shopping and transports hubs of Hammersmith and Westfield. East-West bus routes, Shepherd's Bush Market tube and Uxbridge Road's eclectic mix of shops, restaurants and theaters are all within a few minutes walk. 200 sq m / 2153 sq ft approx.